I have healthy treats for kitty. I think I need a mix of treats. Right now I only have one Pack. Do you have different varieties of treats for your pet? Don't forget to enter the giveaway below for your chance to gift your pet something nice. Their system works from the outside-in with topical solutions like shampoos, conditioners and grooming sprays, and from the inside-out with coat supplements. I would choose the Power treats. I would pick the joint treats. 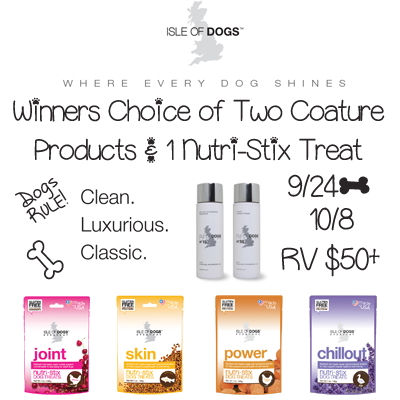 Joint Treats for my Senior Dog Monty!